2.1. 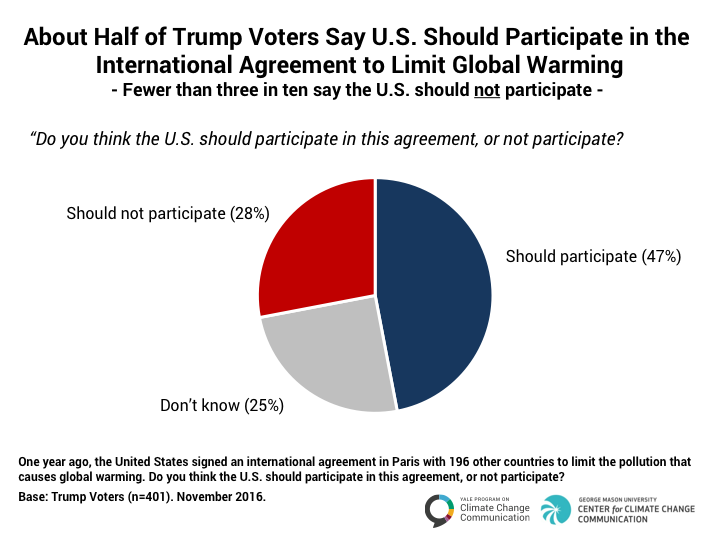 About half of Trump voters say the U.S. should participate in the international agreement to limit global warming. However, almost half of Trump’s voters (47%) say the U.S. should participate in the Paris agreement, compared with only 28% who say the U.S. should not. 2.2. 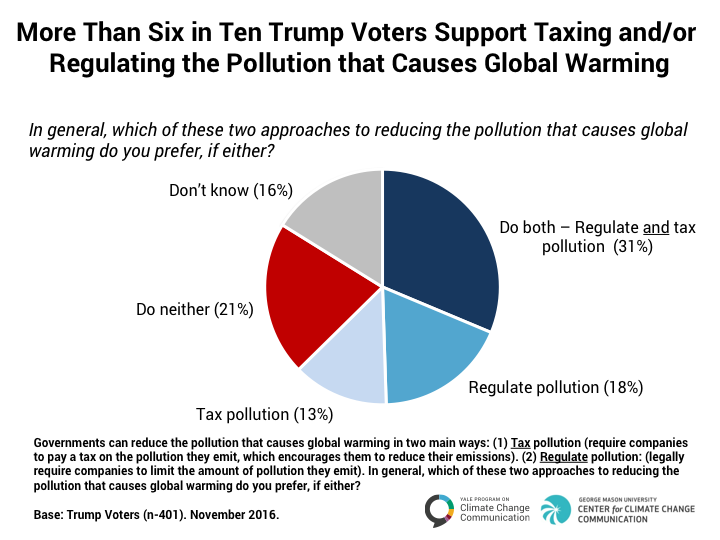 More than six in ten Trump voters support taxing and/or regulating the pollution that causes global warming. More than six out of ten Trump voters (62%) support taxing and/or regulating the pollution that causes global warming, and nearly one in three (31%) support doing both. By contrast, only one in five (21%) support neither approach.